At the end of the day, what many people crave most for is the coziness of their homes and the company of family. It may take years to build your dream home, but it only takes a few missed mortgage payments to take away your dream. As homeowners fall behind on their mortgage payments and face the prospect of foreclosure, con artists are also taking advantage of the mortgage crisis. Some of those struggling with housing payments, especially minorities and the elderly, have sub-prime, high-cost mortgage loans, which compounds the problem. There has also been an increase in scamming because “get-rich-quick” seminars teach people how to find desperate homeowners facing foreclosures and persuade them to turn over their property. And while credit slowly tightens, its putting additional pressure on those in the squeeze. It’s important to note that most go either completely unexposed or unpunished” because homeowners don’t even realize what happened, can’t afford to hire attorneys or because state regulators lack investigative staff or the authority to act. As a general rule of thumb, foreclosure rates tend to go up in colder months simply because fewer houses are sold. Foreclosure rescue scams are deals that proclaim to save your house or pay your mortgage, but in fact these “rescuers” do the exact opposite. Before you’re even aware of it, these scam artists will have acquired your home for a fraction of what it would have brought at sale. You as a consumer must not make any rushed judgments, even though time is probably not on your side in this situation. Think twice before embarking on a plan and think very long and hard before signing anything. Bailout – A promise made by the foreclosure rescuer to buy the property, lease it to you, you have the option to buy it back over the course of years. What typically happens is the rescuer sets the rental price at a level that the victim cannot afford, then they move to evict them for failure to pay the rent. What’s even worse is that all it took for the rescuer to buy the property was to payoff the delinquency. However, it might happen that the rescuers intentions were true and he indeed wanted you to buy off your home at a later date, but even then reality is, to buy it back you’ll need a new loan that’s larger than the loan you have with an interest rate greater than what you have. The payments will be higher and it’s going to be very difficult to qualify. Explore a small hard money loan if you have the equity or consider an open market sale, you’ll probably end up with more money in your pocket. Phantom Help – Sharks smell blood, scammers smell money. A “rescuer” emerges out of nowhere and charges outrageous fees for light-duty phone calls or paperwork that the homeowner could easily do, none of which results in saving the home. They might make a phone call or have their prey sign some innocuous paperwork to make it look like they are really trying to help. This predatory scam gives homeowners a false sense of hope and prevents them from seeking qualified help. Fractional Interest Transfer – Typically, a partial interest in property held by a homeowner facing foreclosure is transferred to a real or fictional entity already in bankruptcy. Because the property interest is then held by a bankruptcy debtor, the original owner’s creditor cannot foreclose until the bankruptcy court lifts the automatic stay. Needless to say, foreclosure is only delayed and not lifted. In the mean time the con artists has robbed you with some fictional fees and left the building. Unknown Bankruptcy – The scam perpetrator contacts the home owner, advertising “mortgage assistance” or “foreclosure counseling” and promising to work out the home owner’s problems with the mortgagee or to obtain refinancing for an up-front fee typically in the upper hundred dollars range. The con artist will then direct the home owner to “fill out some forms,” including a blank bankruptcy petition, or will collect the information needed to complete a petition later. The perpetrator subsequently files a bankruptcy petition in the home owner’s name, after filling in the bankruptcy papers signed by the home owner or forging your signature. The bankruptcy petition invokes the automatic stay, foreclosure is postponed, and you the home owner, will stop receiving letters and collection calls. The scammer not tell the home owner about the bankruptcy petition, instead convincing the home owner that foreclosure activity has ceased because mortgage problems have been worked out. The perpetrator will tell the home owner that he might receive a notice from the court, which should be ignored. Or you may be told that the con artist has gone to court on your behalf. No one appears at the court, the case is dismissed, the foreclosure goes forward, and the home is lost. Bait And Switch – In this worst case scenario, they will have transferred your title into a trust that then enables them to rent or “resell” your property to equally hoodwinked buyers while, to your surprise, you remain legally obligated to make the mortgage payments! They place ownership of the property into a trust in the owner’s name in order to avoid the “due-on-sale” clause in most mortgage contracts. Then they transfer ownership through the trust to themselves or to a front operation. In these instances, the mortgage company is unaware that anything is amiss. The homeowner, however, is frequently left on the hook to pay the mortgage on a house she no longer owns. Don’t thrust someone just because he looks like or you heard is a thrustworthy person. Scammers disguise their true intent with lies, exaggerations, pressure tactics and other measures. Be wary of “affinity marketing” techniques with the idea that people like you are on your side and protecting you from those who don’t have your best interests at hear. Don’t panic. Get detailed information about the deadlines you face in resolving your problems. Pay special attention to the date on which you would lose legal right to ownership. Never make your mortgage payments to anyone other than your lender. If you can’t pay, do not ignore warning letters from your lender; contact them instead. Watch out for documents that conveniently run out of space for signatures on pages containing text forcing the home owner to sign a blank page that is later attached to a different document. Sometimes homeowners just sign a bunch of documents, not even realizing they’ve signed over ownership of the house. Beware of any home-sale contract in which you are not formally released from liability for your mortgage. Make sure you know the rights you are giving up and that you agree to give them up. Remember, verbal agreements don’t mean anything. You’ll want to get everything in writing and make copies of the paperwork. You can also check out the company at bbb.org. Legitimate companies will sit down with a homeowner and collect documentation. They will put together a package and present it to your lender. Don’t trust anyone who uses flyers or solicits for business door-to-door. Be suspicious of offers to lease back your home, so you can buy it back over time. These offers are weighted against you. Unfortunately, help is becoming harder to find. Even if someone in foreclosure could afford to hire an attorney, fewer and fewer lawyers are inclined to take cases against scammers because the prospect of ever collecting a court award is extremely slim. Make sure that you really are in foreclosure. If you are behind in payments, you will receive what is called a deficiency notice. These letters notify you of your delinquency and give you a chance to resolve the debt. If you receive a Notice of Trustee’s Sale, or similar document, you are in foreclosure. Learn the laws regarding foreclosure for your state. It is important to know how much time you have to resolve the issue. Be careful when choosing a counselor and pay attention to the certification requirement recommended above. Some counselors are scammers in their own right and will overcharge for services that they not even provide. It’s really very easy to tell a scammer from a legitimate counselor: You should not have to pay for legitimate housing counseling. Make sure that the counselor is certified by the Department of Housing and Urban Development (for United States). Do not bury your head in the sand. The problem will not go away, and will only get worse if you ignore it. If you do not speak the nation spoken language, never use a “rescuers” translator. Instead, insist on using your own translator. Contrary to what the scammers would have you believe, contact your mortgage company first. There are many remedies available, including renegotiating the terms of your mortgage, that can save your home or failing that, allow you to walk away with most of your equity. Don’t sign a home-sale contract where you are not released from your existing mortgage. If you have received a foreclosure notice, or even if you feel you won’t be able to make your mortgage payments, contact your lender immediately. You may be able to negotiate your payment schedule. Lenders do not want to foreclose because it’s expensive for them. Bankruptcy does not stop foreclosure. It puts a hold on foreclosure which can allow you time to reorganize your finances. Every area has reputable attorneys who handle bankruptcies. Spend the time to find one and spend the time to know what you have to do and when. Mistakes can cause things to get very bad very fast. Every time you refinance, unless you are paying fees out of pocket, your loan balance is going up which is using up your equity. Lenders can make a lot of money churning loans, you need to consider total loan amounts also, not just the monthly payments. Try to solve the problem, not just extend the time frame. If you can’t refinance, renegotiate or sell quickly, it may make sense to look at filing for bankruptcy. It may be a more reasonable option instead of carrying on and maintaining a debt that you are obligated to pay, but can not afford to. It is not always possible to resolve delinquent mortgage payments. 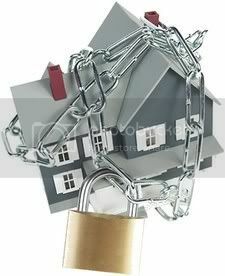 Selling a home and receiving the equity is much preferred to having your home stolen by thieves. If you believe that you are the victim of criminal activity, you should contact your local law enforcement agency and contact a consumer protection lawyer right away. An attorney can assist you as you navigate your way through hearings with enforcement agencies, eviction hearings and in lawsuits. You may be better off searching locally for a consumer protection attorney, but here is a link for National Association of Consumer Advocates.